Earlier this week, I posted a plea for help on my FB page. 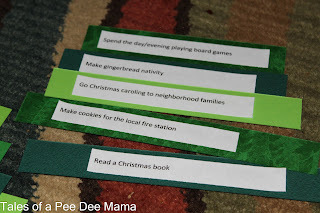 I wanted to create an Advent Calendar for my family that had a different activity planned for each day. I received many great suggestions for which I am extremely grateful. 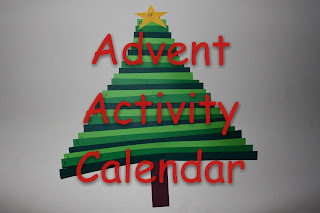 The Advent Calendar has been made! Even though I no longer am an active scrapbooker, I still own what could be a small scrapbook store. It's extremely handy for times like this when I'm feeling crafty. To make the tree, I cut 3 colors of green card stock into 1 inch strips. Then I cut the strips so that each strip was 1 inch shorter than the last for the bottom part of the tree and 1/2 inch shorter for the top layers. Strips that are needed to be longer than 12 inches were stapled together. I numbered the front of the strips to make it easier for me to figure out which activity to put on what date. For example, we have tickets for the Nutcracker on the 8th, so I needed to make sure that activity was put on the correct strip. 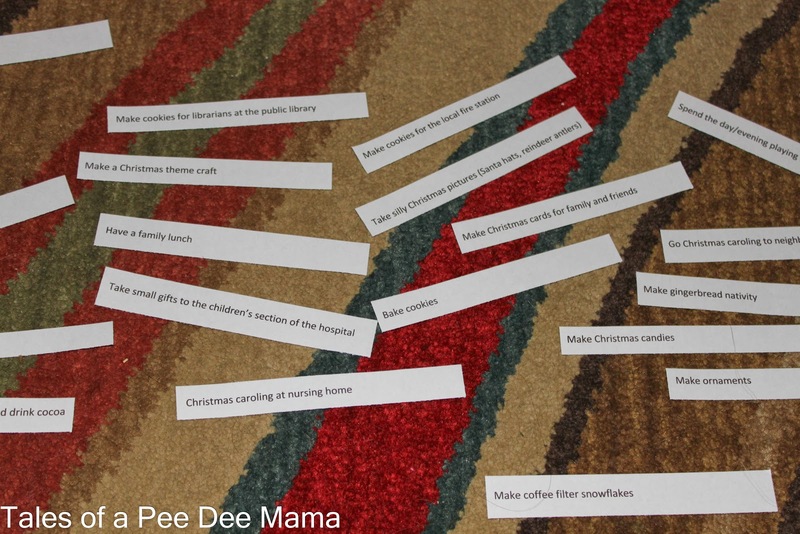 Then I printed out the list of Christmas activities and cut those into strips to glue onto the backs of the tree strips. Next I cut brown card stock into two 2 inch strips and stapled them together to make the tree trunk. I cut a star out of yellow card stock. 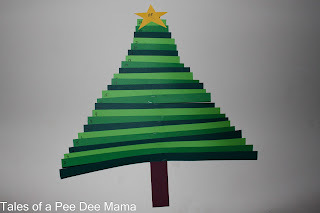 Finally I attached all of the green strips to the tree trunk and hung the finished product on the wall. Here is the list of activities that I chose from. Note that there are 27 activities listed, and you only need 24 for the tree. 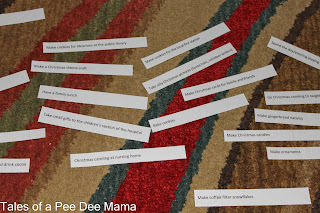 It gave me some flexibility, and now I have a few different activities to use next year. That is such a cute advent calendar! Coming over from the Hip Homeschool Hop!